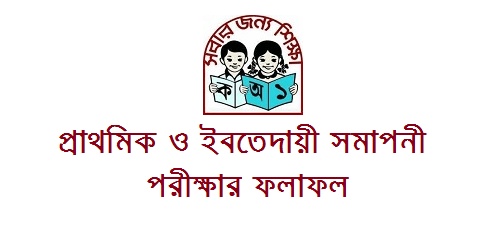 PSC Result 2018 with full markheet – DPE.GOV.BD : PSC exam result 2018 means Primary school certificate Result 2018. It’s also Called Prathomik Shikkha Somaponi result 2018 in General Education. In Madrasha Education it’s Called Ebtedayee Shomaponi Result 2018. Both of these result has been officially Published by Directorate of primary Education. PSC Result 2018 has been published on 24 December after 2:00 PM. When will publish PSC Result 2018 Online: PSC Exam Result date 2018 has been published. Generally PSC Exam result published on the last week of December. This year PSC Result 2018 has been published on 24 December 2018. Ebtedayee Somaponi result 2018 has been also published on the same day. At First Primary and Mass Education Minister Mostafizur Rahman Fizar has been handed over the results to Prime Minister Sheikh Hasina at 11am and the primary and mass education minister highlighted various aspects of Result through press conference at noon. PSC & Ebtedayee result 2018 has been published on DPE official website at 2 PM. One is online Method and another is through SMS Method. Every Year PSC result published on these two method. Now I will discuss how to check through these methods. PSC result 2018 officially published on two websites. They are dpe.gov.bd and dperesult.teletalk.com.bd. When PSC result 2018 published in online, then here you will be found the result. Ebtedayee Somaponi Result 2018 has been also published on the same website. Primary & Ibtedayee exam result 2018 has been also published on our website which is www.en.lekhaporabd.com. PSC Exam result 2018 also get via SMS Method. You will get the result after publishing the result by (dpe) directorate of primary education. If you don’t have any device to browse the internet then you can use this Method. SMS Method is given below. After p.s.c exam result published We will given here the psc result full marksheet 2018. Then you can see your all subject marks. The PSC exam result makes through GPA – grade point Average system. First two years (2009 & 2010) PSC exam result published on division system. After 2011 PSC exam result is published on the GPA system Like other Board Exam. (80-100) =A+=get 5 points. (70-80) =A= get 4 points. (60-70) =A-= get 3.5 points. (50-60) =B= get 3 points. (40-50) =c= get 2 points. (33-40) =d= get 1 point. PSC & Ebtedayee Scholarship is a great achievement for students in primary level. This Scholarship result publishes in two categories. They are 1) Talent pool Scholarship & 2) General Scholarship. PSC Scholarship result has been also publish on our website within 3-4 month of PSC result 2018 published date.